Wisdom of Life. : What is a good handshake? One that the person who receives could feel the warm and sincerity from the giver. Whenever I meet anyone, either I know or the first time we meet, I make sure that my right hand is the first to raise to offer my handshake to the person in front of me. In order for the receiver to feel my warm and sincerity, my facial has to show the enthusiasm and my gesture has to be polite and appealing. To throw out this manner, my heart has to be truthful and willing. To balance the thought, my mind has to be positive and aggressive. With the heart and mind working along side by side, my hand would definitely have the energy to hold the friend in front of me. Out of the five important senses of human being; sight, hearing, smell, taste and touch, a good handshake needs at least three to justify the quality of it. My friends could see my smiling gesture, they hear my words of compliment and they could feel the touch of my comfortable hand. The combination of all these requirements, let the receiver to feel the warm and sincerity when a good handshake is given. With more practises, you could also be able to give out Chi Energy to those who receive your super handshakes. Yes! 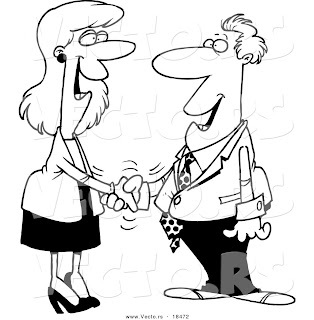 Handshakes are important in our daily life, especially meeting people and doing businesses.